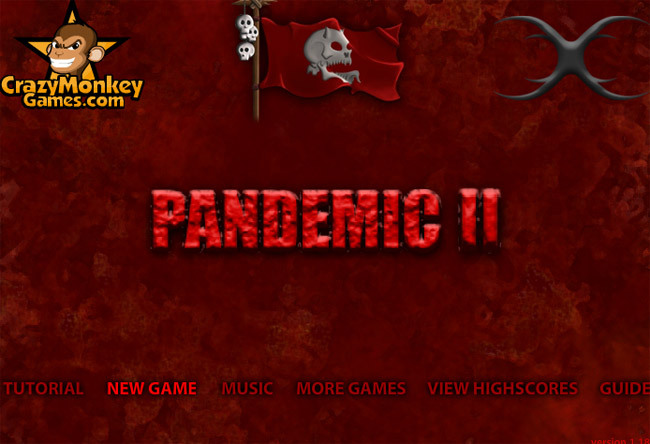 Pandemic 2 is an improved and more popular version of the original Pandemic. 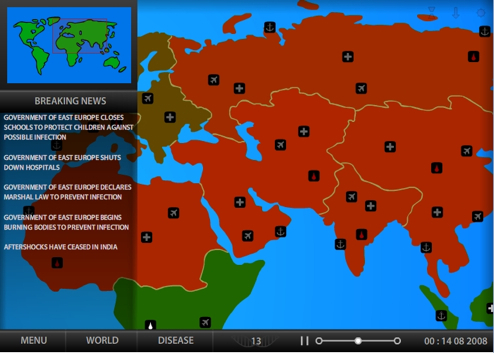 This highly interesting strategy game involves creating your own disease and spreading it across countries so that the entire human race can be infected and eliminated. You can win this doomsday simulating game when all the humans have been infected and wiped off before a cure can be found. 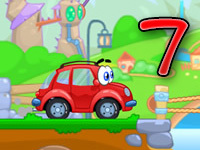 You can play the game in two modes, Realistic and relaxed. Relaxed – this is the mode beginners should choose. You will get more time to spread your disease before a cure is found and you can collect the points without great fuss. Realistic – It is more difficult than the relaxed mode and experienced players will fare better. Points do not come by so easily and the opposition from humans is greater with the humans portrayed to react more intelligently. The strategy you follow should be aimed at spreading your disease as quickly as possible to all parts of the globe before governments wake up to the threat of the disease and take measures to close down airports and borders. 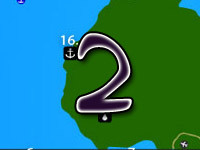 The area which you can control in the game is the disease itself. You can choose the kind of disease and the characters of the disease. The essentials of game play can be summarized as to the technique you use to mold your disease strain and how effectively you can infect the different regions of the world without tipping off the governments. Disease Classses – You are able to choose one of the three different disease classes; virus, bacteria and parasite. Each of these have advantages and disadvantages. While parasites are difficult to detect and offer very low visibility, choosing virus will make it easier to gain points. 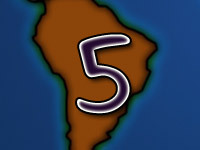 You start with a certain number of evolution points which you can use to spread the disease or to make it more lethal. 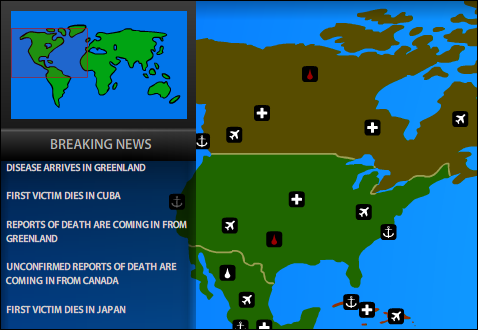 Clicking on any region of the world map will open up a new window that lists out all details about the area including the hospitals, infected population, and healthy population. The actions taken by government and the current scenario of the infrastructure in the specific region can also be learnt from the window. You start the game with a few limited traits for your disease. You can add on traits which will make it easier to spread and hard to contain by buying the required characteristics using the evolution points. You have to click on the Disease tab at the bottom of the game screen to view the possible traits that can be attributed to your disease. Speed is essential in the game as the quicker the disease is spread, difficult it will be to contain. 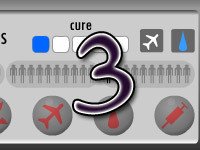 Low visibility and high infectivity are essential to maintain at the start of the game so that you can spread the disease without interruptions from government in the form of closing of borders, or airports and water facilities. You can buy resistances too as time goes and vaccines are starting to be developed. 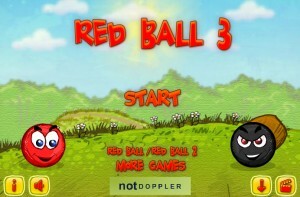 The game is recommended for children who are 13 and above and is suitable for adults. The game is considered to be over under two circumstances. One is that you have completely eliminated the human race by infecting and killing people all over the world. The second is that there is not even a single person left who is infected by your virus. In the first case, you win and in the second case you lose.